Woohoo! 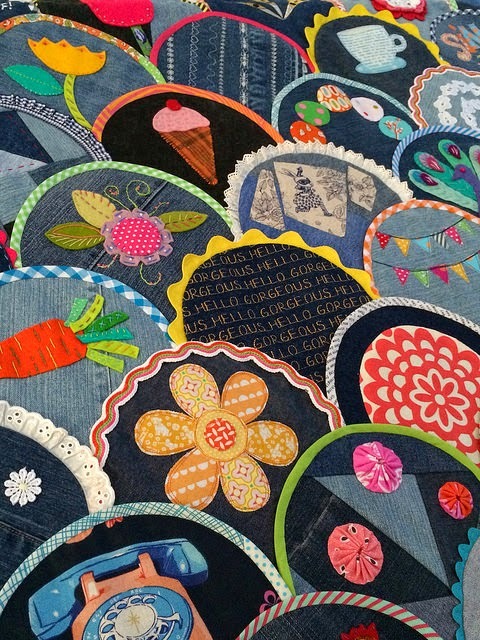 It's Bloggers Quilt Festival time again !! 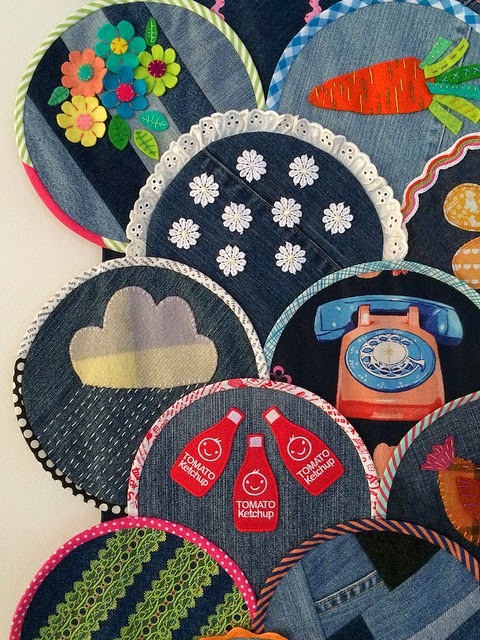 Thanks to Amy of Amy's Creative Side for hosting the Festival, it's always such a fun event with lots of quilts to see and new blogs to discover. To all those who have seen my Happy as a Clam quilt before I hope you don't mind seeing it again. It's the most adventurous quilt I have made to date so I thought it deserved a showing at the Bloggers Quilt Festival. It was a great opportunity to try different applique techniques, raw edge, wool felt, needle turn and I even used some groovy iron-on patches. My aim for this quilt was to have fun, and for it to be fun for its observers! I ended up making 111 clam shells which is the perfect number for such a whimsical quilt. It's the sort of quilt that the more you look the more you'll see. Lots of weird and wonderful, fun and frivolous, cute and curious things! some gold stars hidden in a pocket, because as you know it's handy to catch a falling star and put it in your pocket to save for a rainy day. Now, I figured this is the sort of quilt that people would be curious about the backing, so for those who do look there's a daisy garden patchwork of fabrics. The happy clams are 8 inches across and the final quilt is 56 x 72 inches, a great size for hanging on the wall. 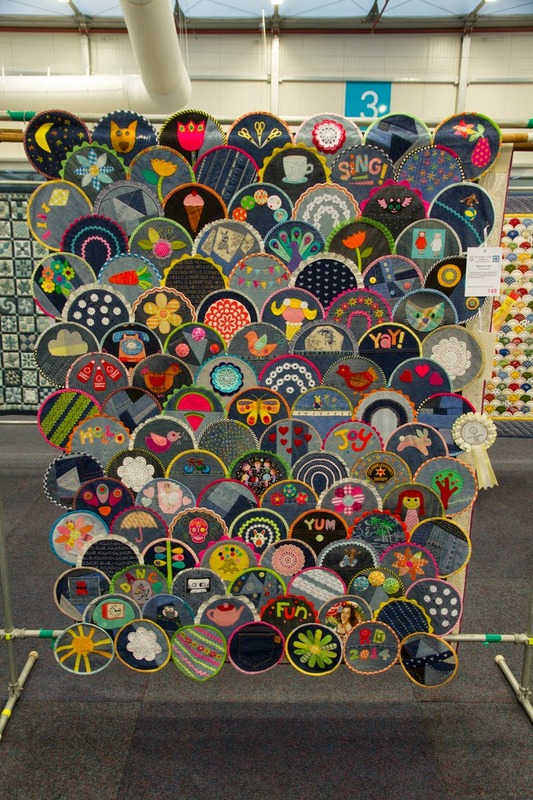 You can imagine how honoured and pleased I was that this quilt received 3rd place in the Anything Goes- Mixed Media category at the Sydney Quilt Show 2014. I was Happy as a Clam in fact!! 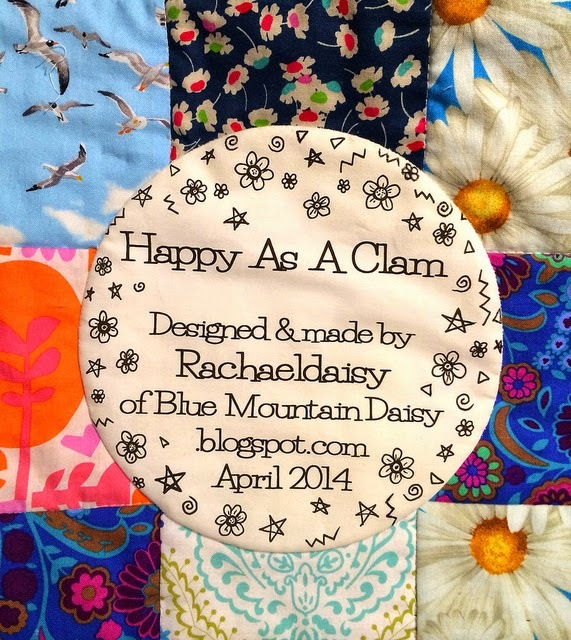 I've entered Happy As A Clam in The Original Design Quilts Category. I'll post another quilt in a couple of days so watch out for that one too. Happy Bloggers Quilt Festival to everyone. Let me know in the comments if you have a quilt in the show so I can make sure I pop over to see it. Just love this quilt, it is so creative. Love the stitching, just so fun to look at all the different clams and bet there is a story behind so many of them. This quilt is really original, great job, very creative!, congratulations! Omg this quilt is Mazing! Congratulations on your win. So well deserved. Will there be a pattern release? I do love this quilt and its great to have another look. I didn't actually realise the clams were as big as that. I like the I Spy nature of it, kind of I Spy for grown ups! This is such an incredible and interesting quilt, I wish I could see it in person! Every time I see it there is something else to make me smile. I love the stars in the pocket too! 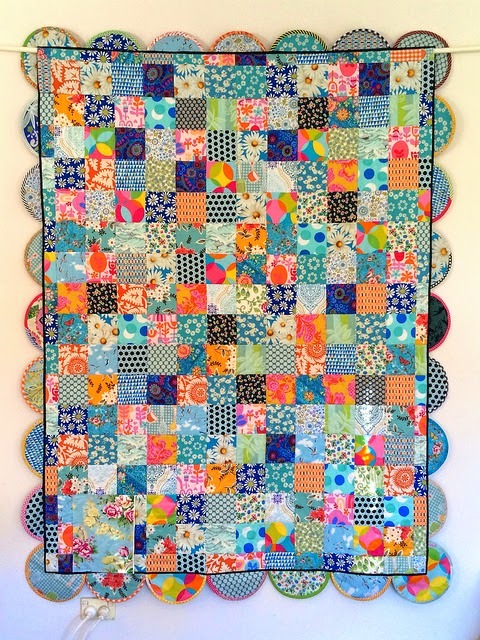 WOOOOOOW - this quilt is amazing dear Rachael!! I love it!! Great job and congratulations on your win! Wait! What? 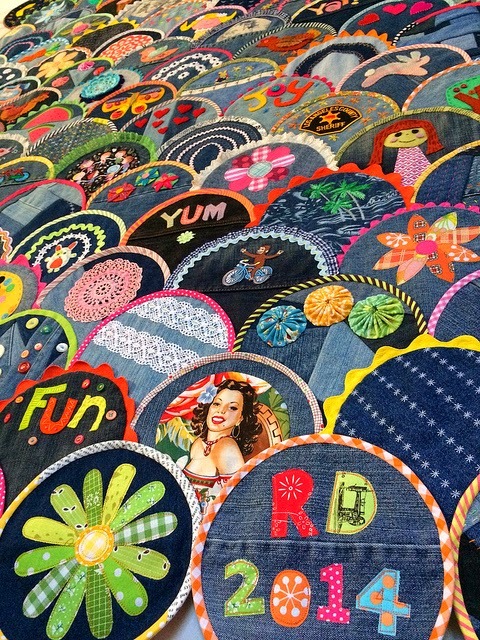 Has it already been a year since the last Bloggers Quilt Festival? I LOVE this quilt! I feel like I know you a little better as a result of this quilt. It really is a happy quilt. You have my vote! That will make voting easy for me! I adore this quilt...every single clamshell of it. wonderful quilt for the festival!! congrats again on the well deserved ribbon. How fun to see your happy quilt again. I love the back as much as the front -- both so bright and beautiful!!! That's really cool and it's a proper double sided quilt too! I don't think anyone gets tired of seeing this whimsical quilt. It just brings smiles and happy thoughts! It is such a pleasure to see this quilt again! I found your blog during a past Blogger's Quilt Festival and have enjoyed every post since. I still need to decide which quilts I am entering. You can bet one of them will probably be scrappy! 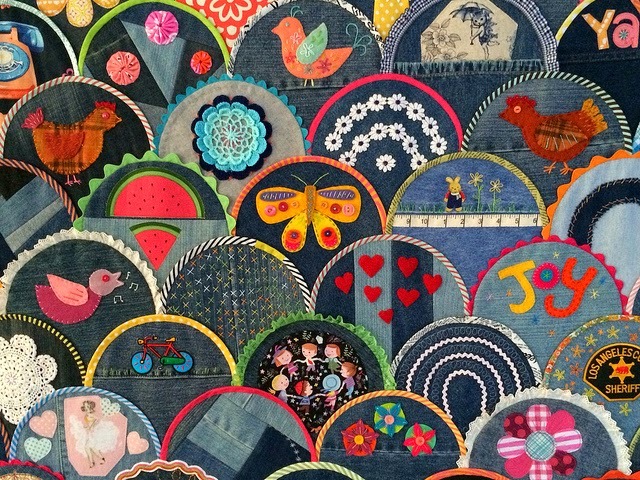 wow wow and wow ~ love this quilt of many HOURS ! How have I missed seeing this before, such a fabulous piece, so much to look at, so much colour. Well done. This was the perfect quilt for you to put up for the Festival! So fun to see it again. I JUST LOVE IT!! Your quilt just makes everyone smile. It's so filled with happy things. I'm glad you picked that one to share! It's a winner! You could show this quilt multiple times and I'd never get tired of seeing it. I discover something new every time you show it. Im thrilled you chose it for your BQF post - it's original , fresh and fun - just like you! This is beyond awesome! Totally the kind of quilt you could get lost in forever! Thanks so much for sharing it! Yea! I could look at this quilt for days on end. Hope you'll show it again and again! So glad you entered this quilt Rachel, it's absolutely stunning and I love it so much!!! This is such a fun quilt! So glad you entered it in the festival so I could find it. :) I have no idea how you made it but I love looking at it! I just love your clam quilt Rachael! It is so much fun! Another amazing creation! Your ideas continue to inspire me~ 3rd place- bah humbug! This is a first prize quilt in my eyes! I considered myself very lucky to have enjoyed this one in the flesh in Sydney, it's just sooo fantastic! I love the back too. How special to have some stars hidden in the pockets, I love your work. I so love this quilt. It just makes me smile. A great post to start my day! I like the back as well - so colorful. Such a creative quilt! I do love this, great choice! So glad you have entered this quilt. It is so special even to us readers as you revealed your clams a few at a time. The backing is also something special. Love it! I'll be voting for you. 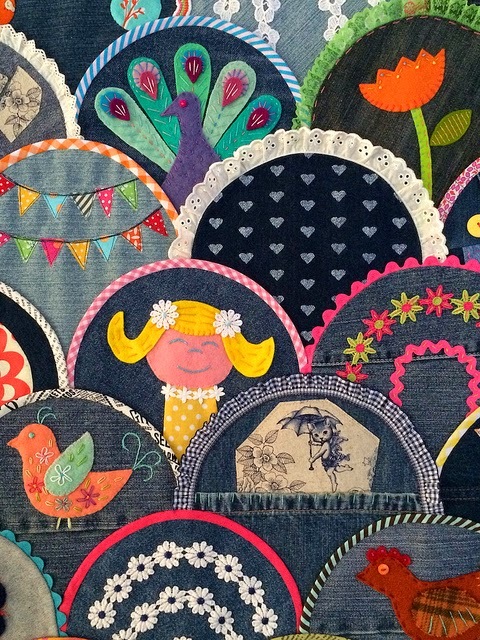 It certainly is a fun quilt filled with originality and quirkiness. On of the best things about quilting seems to be the scope it provides for creativity. This is such a fun quilt! Not all quilts are art, but this one certainly is!!! 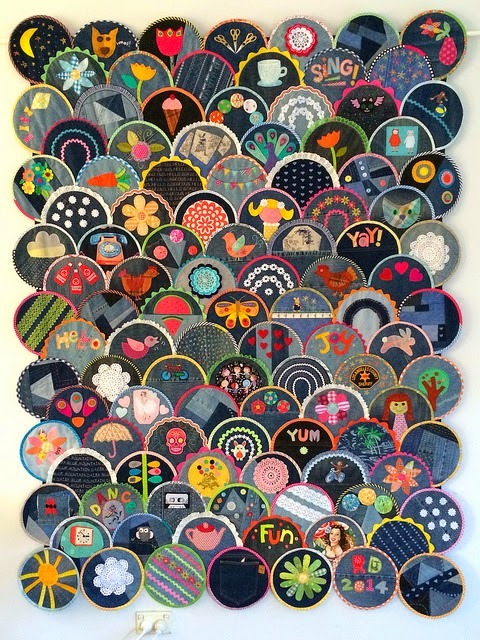 This is a wonderful piece Rachael, a quilt of fun discovery ! What fun this quilt is. I'm glad I bumped into it while hopping around Blogger's Festival. This is a perfect quilt for the Bloggers Quilt Festival and you are so right about showing the back as well. Well done - hoping it "does" well. This is amazing. Seriously amazing. You never fail to thrill and inspire me! I love seeing this quilt again. It has so many wonderful elements that you feel like you are discovering something new every time you look. This is a wonderful choice for the quilt festival. This quilt just blows my mind! You put so much work into it, with so many charming little details. It is just incredible. And beautiful! I could gaze upon this quilt all day long. I've got two quilts in the BQF. One is so new, it's never been shown on the blog before! Nothing short of AMAZING! I am speechless. I'm in love with this quilt!!!!!!!! It' a true piece of art! You have my vote! An *AMAZING* work of ART! Thank you for sharing! Beautiful Rachael...you are so clever! Voted hon, I absolutely love this quilt! 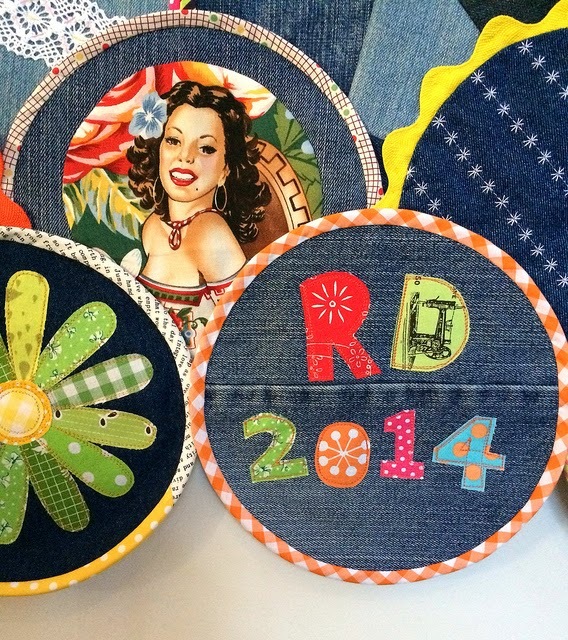 Great use of the recycled denim and what wonderful designs and embellishments! Truly an original and creative piece. Kudos!!! love, love, love!!! thank you for sharing! Truly inspirational - you are very clever! This is the first quilt that I can say just makes me happy looking at it. There are so many patterns that I absolutely love, but this one just makes me feel good. The colors, the detail, everything about it is happy. Thank you so much. If this quilt won 3rd, I want to see what took first!! Love quilts like this that make you look at all the details. And this is the only clam shell quilt that I actually like. But I Love this one! Amazing! And Ramona has taken the words from my mouth ...... if this quilt took 3rd place, I can't begin to imagine what the 1st and 2nd placed quilts were like! I'm late to the party but just found this quilt and HAD to comment on how absolutely amazing I think this quilt is!!!!! 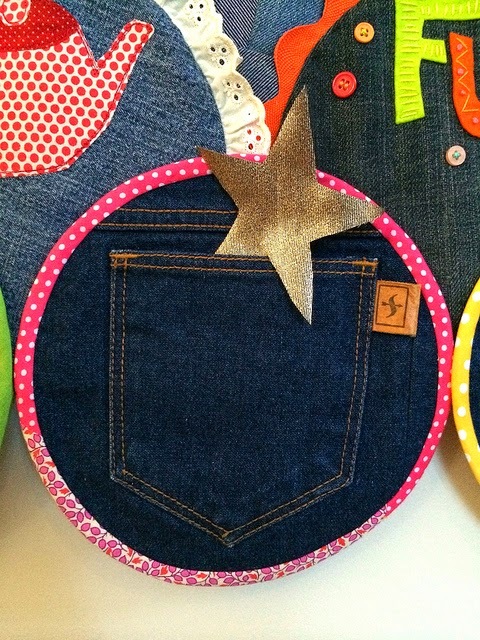 The falling star in the pocket is incredibly creative and sweet and the whole thing is just beautiful!! Should have been First place!!!! I can't believe I'm just seeing this (considering the amount of time I spend ogling quilts online), but this IS AMAZING, and right up my alley. I'm so in love with it.